The eclectic style of the 1930s Art Deco style is integrated within this faucet's classical design. Ideal for more spacious bathrooms, widespread faucets are more spread apart and feature a 3-hole installation. 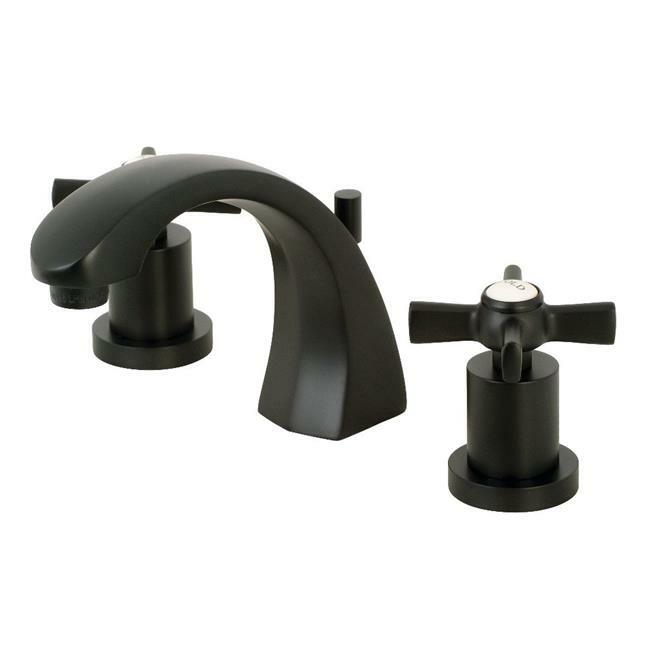 The Millennium 8-Inch Widespread Lavatory Faucet with Brass Pop-Up and its featured sturdy brass construction and premium mattel black finish are guaranteed to glamorize your home's modern ensemble for years to come. The elegant design of this faucet will spark praise for your exquisitely-styled bathroom. A matching finish drain is also included.